RWKrafts: Topflight Stamps Grand Opening Hop! Topflight Stamps Grand Opening Hop! Hello everyone! Welcome to the Topflight Stamps Grand Opening Blog Hop! You can shop for hard to find, international stamps all in one place. And they offer free shipping in the US for orders over $50! 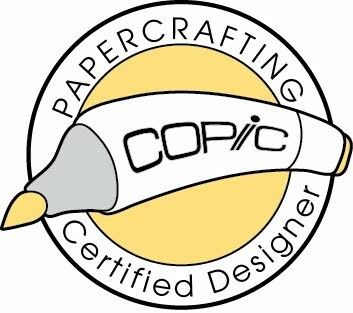 Today we have an AWESOME blog hop (read through the end of this post for details) with some of the best paper crafters in the industry. They are each featuring some of our favorite stamps, many you probably have not seen before. Be sure to comment on this blog and all the blogs on the hop to be eligible for the GRAND PRIZE a $50 store credit!!! PLUS - each of the designers in this blog hop are giving away a $10 gift certificate to one of the commenters on their post. I will announce my winner here on Monday, April 3. The $50 Grand Prize winner will be announced on the Topflight Stamps Blog on the same day. Good luck!! 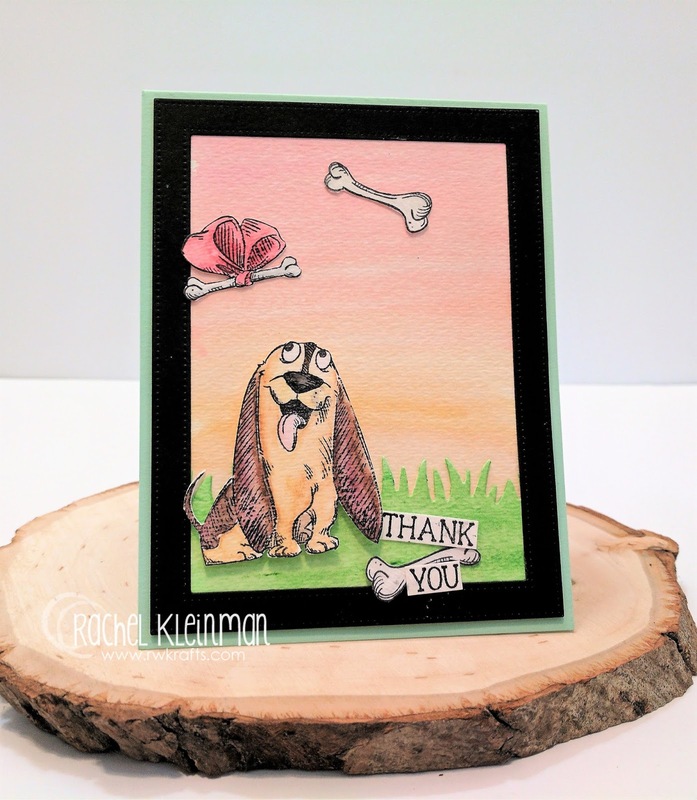 Today I'm sharing a mixed media card created with the fun set "Les Chiens (dogs)" by Katzelkraft rubber stamps. 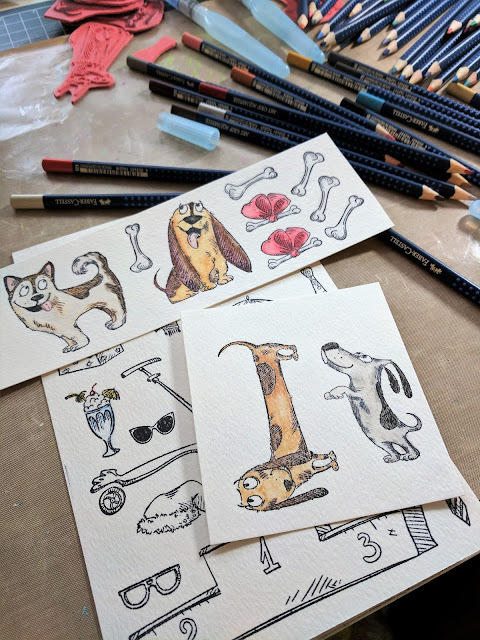 I stamped all the doggies on watercolor paper with Archival Black Ink and colored them with Faber Castell Art Grip Watercolor Pencils. I fussy-cut each of them to use later on another card. I love creating little scenes on my cards, and this one was so easy! I colored 3 Gelatos on my craft mat to use as watercolors. 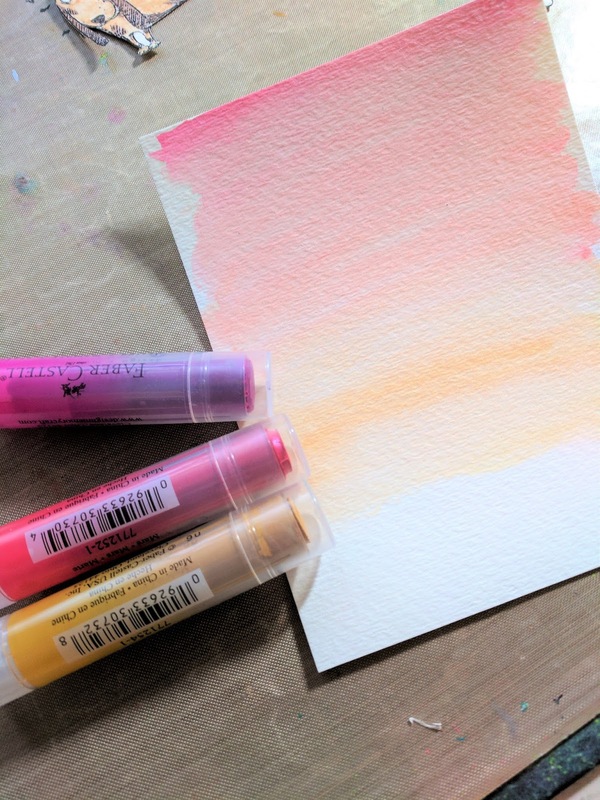 Here I used Starburst, Stardust, and Mars Iridescent Gelatos to create a simple sunset look on my paper. 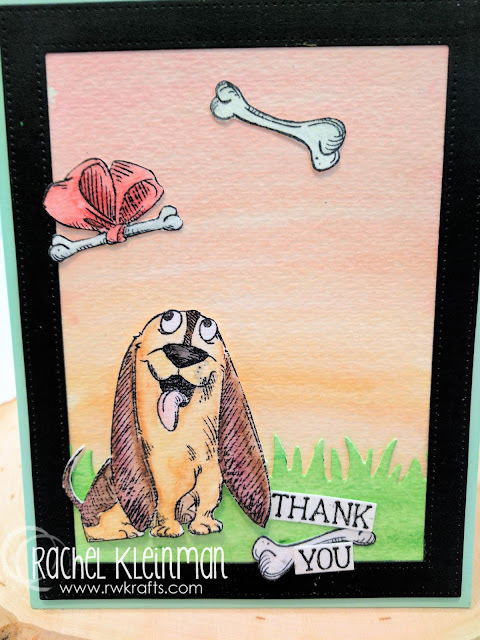 I also die cut Lawn Fawn Grassy Border Die from watercolor paper and colored it with Comet Gelatos. 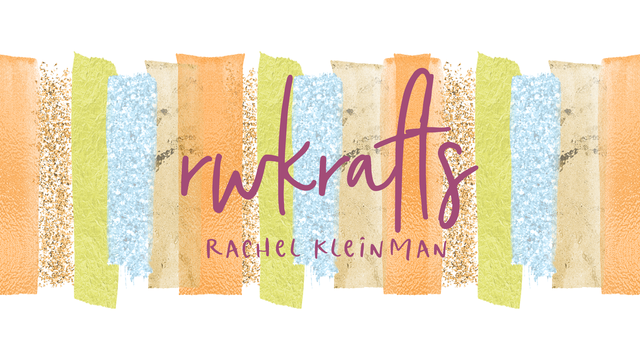 • Rachel Kleinman - You are here! You inspired me to get out my gelatos. So cute. I love this card and image. That would be my dog always dreaming of food. she is always begging for food. I love the Gelato background. Wonderful fun card. These look so fun to color ! 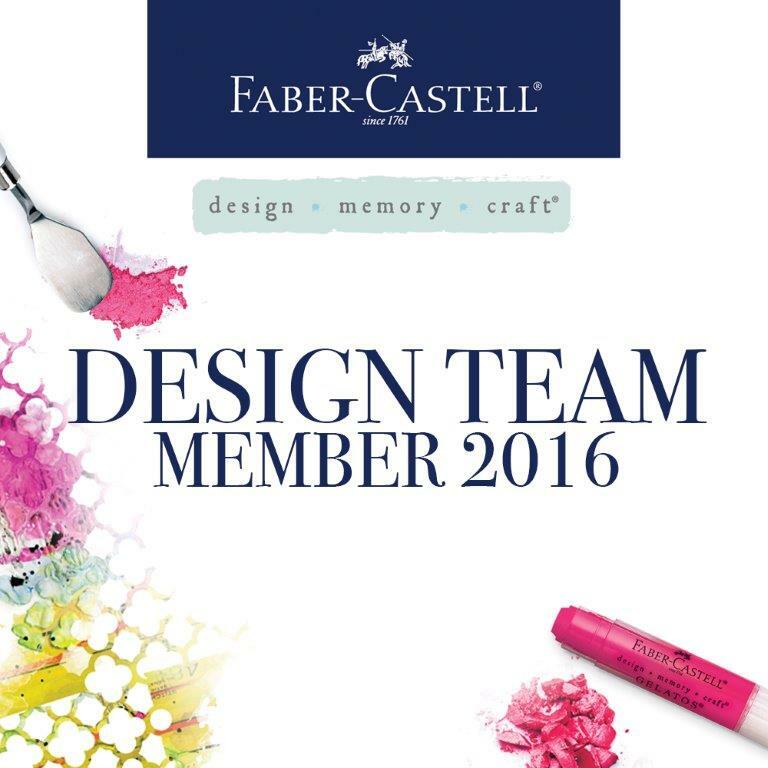 It's always nice to have added choices in the crafting community , very excited to welcome you into my world . Oh, so cute! Love seeing how you created the beautiful background! I really like these dogs. Sweet. Love Katzelcraft stamps! Thanks for inspiring me to pull out this set and get busy crafting! What a fun card and stamps. Rachel, the little pup is super cute! 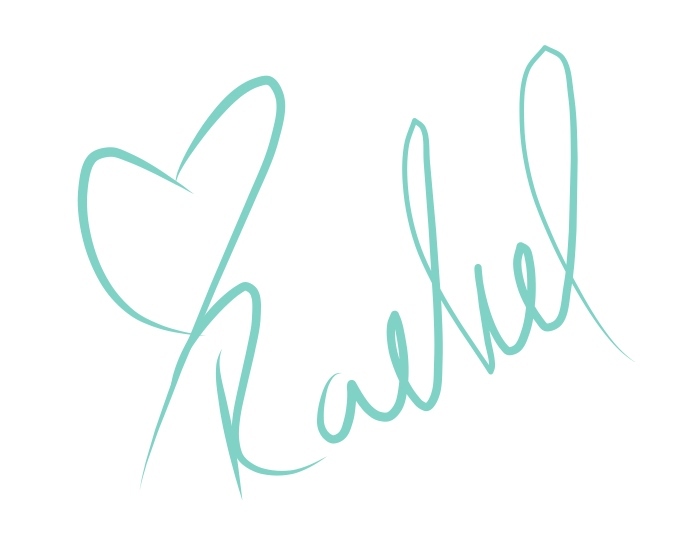 I love the color and the fun, sketched design! Too cute! I love your dog gang !! I was too late, they were sold out !! I NEED them ! How adorable!!! I love this doggie!!! I am a doggie lover! This card is awesome!!! Adorable card. Thanks for sharing your talents and inspiration with us. Such a cute card. I just love this stamp set. Too bad it's sold out right now. Loving the whole concept of this new store and I can't wait to see what all they get in. Fabulous. Love those pups!! So cute and I love using those art grip pencils - have to drag those back out next weekend! What an adorable card. Love your pretty background. Just too adorable - love every part of it. Awww what an adorable card!!!!! I just love it!!!! I am following you now and would love for you to Check out my blog if ya can, as I host always anything goes challenges each week! Have a wonderful day! Gaaahhhh! I love this!! So funny & cute!! I love your cute doggie card! Cool background! Cute card with that adorable pup! I love your pretty colors! Cute! Reminds me of the movie, Dogs & Cats when the bone is floating down to Lou. Nice card , these dogs are so cute. Wow...love the tropical background paired up with this cute pup. The colors here just POP! Absolutely adorable. I definitely think those Les Chiens are going to have to come home with me. ......just the CUTEST card EVER! ADORBS!! The stamps are a must have!!!! I just love them! Gorgeous background!!!! I'm going to have to break out that brand new pack of gelatos and give it a try! Cutee, Cute, Cute. Love that set. These stamps are definitely on my wish list. Super cute. So totally cute! Love the easy but effective background; the colors are so beautiful. Fabulous! Love this happy dog! Beautiful background! These dogs are definitely one of my favorite stamps in the store - added to my wishlist. Your card is adorable!! Love the colorful background & the darling dogs! Stunning cards and such talent! Love the background you've created! Such a sweet and lovely card! What FUN!! Love these chiens! Those dogs are truly adorable! Beautiful background wash with the gelatos too - great blog hop! 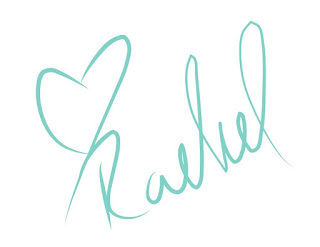 Thanks for participating - so excited about the store! Even the dog has his day-dream. Awww that is a cute card! Love your scene for the puppy... thanks for the inspiration!